A life-long Science Fiction and Fantasy fan, Jeff Carlisle's journey began with seeing the original Star Wars in when he was four, Watching classic Sci-Fi television as a child, reading classic science fiction and fantasy books in his teen years and playing lots of role-playing games and video games while in art school. The drawing and dreaming he has been doing his whole life is now his career, and over the last two decades he has designed or illustrated Books, Magazines, Web Comics, Role-Playing and Miniatures Games, Trading cards, Posters, Art Prints, Fantasy Maps, Sketchcards, Webshows and Short Movies, a Video Game, and even Paper Airplanes--among many others. 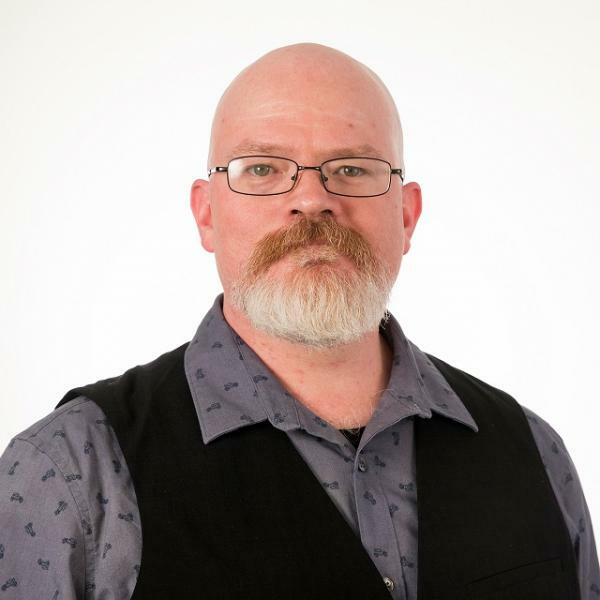 Jeff is excited to join the faculty of CCAD as an adjunct professor and hopes to use his professional experience to inspire students to pursue their own bright futures.